Are you looking to get new windows installed at your property? 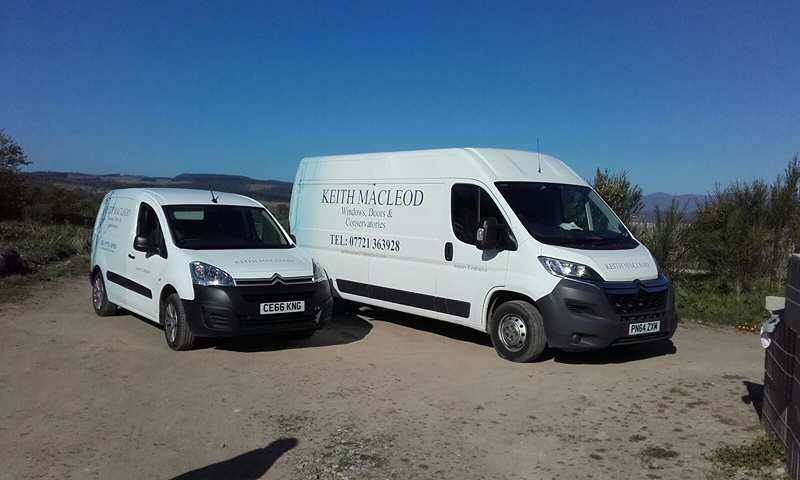 At Keith Macleod Windows, Doors & Conservatories Ltd, we supply and install a wide range of windows, doors and conservatories at affordable prices. Established for over 25 years, Keith Macleod Windows, Doors & Conservatories Ltd is a family-run business that specialises in window and door installations. We have built up an impeccable reputation for our high-quality workmanship and attention to detail. We supply and fit pre-finished sash and case timber windows to all conservation areas. Our team has the skills and the expertise to carry out all the work to the highest standard. For your peace of mind, we offer a 10-year guarantee for all our services. For more information, get in touch with our team today. Do you need made-to-measure windows and doors for your property? Our skilled team can install durable doors at great prices. You can choose from our wide selection of doors, available in different colours and styles to complement your home. For more details, contact us today. Add an extra space in your home with our bespoke conservatory installations. Our services can be tailored to suit your specifications, requirements and budget. We use only high-quality materials for all our projects. For additional information, contact our team today. Absolutely brilliant job Keith & Daniel did of fitting my UPVC Windows,doors,fascia's,soffits and guttering..!! Very punctual, neat and tidy workmanship. I would recommend them anytime. Absolutely delighted with my new windows installed by Keith Macleod and his team. Keith has recently fitted windows for me and fixed and existing rooflight. Communication is always good and he provides a professional and friendly service. Always arrives on time and leaves the area he has been working spotless. Highly recommend! Keith & Dan recently replaced two windows for us. Great quality windows, fitted quickly, neatly and efficiently. Surrounding areas made good and all rubbish removed. A job very well done. Will certainly have more work done by them.